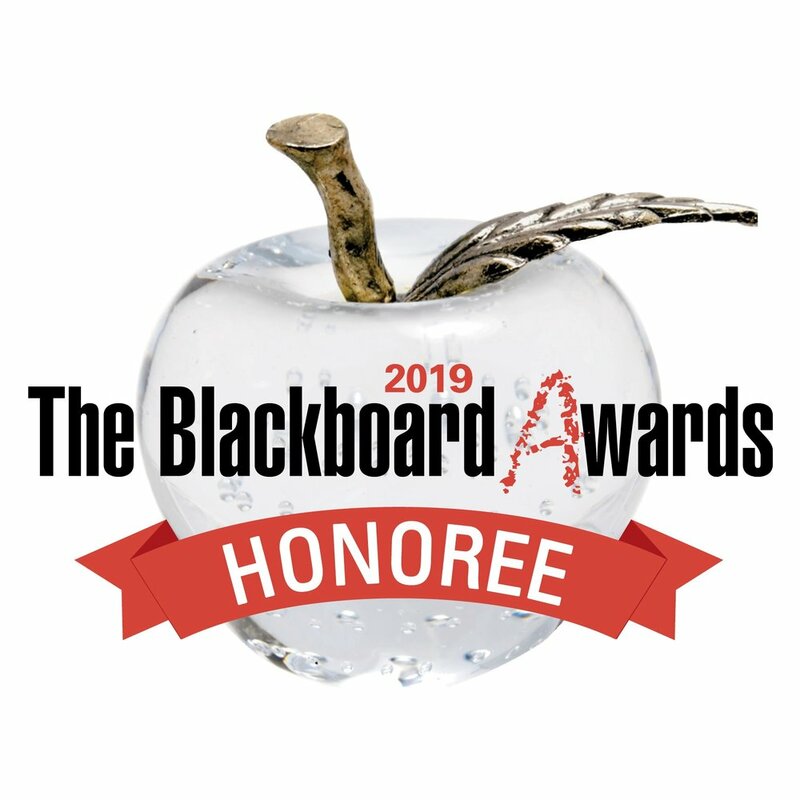 Well, 2019 is off to a tremendous start, as Speyer was honored with a Blackboard Award as an Outstanding School! Selected as one of only 14 recipients, Speyer received the award as recognition of the hard work and dedication of our fearless faculty and confirmation of the need for a place for accelerated learners to be with like-minded, curious classmates! And, man, what a perfect way celebrate our 10th year! In a special ceremony at the New York Institute of Technology (NYIT) on Monday, January 14, Board Chair Greg Peterson accepted the award on behalf of Speyer and co-founding trustee Jennifer Selendy, who was unable to attend. 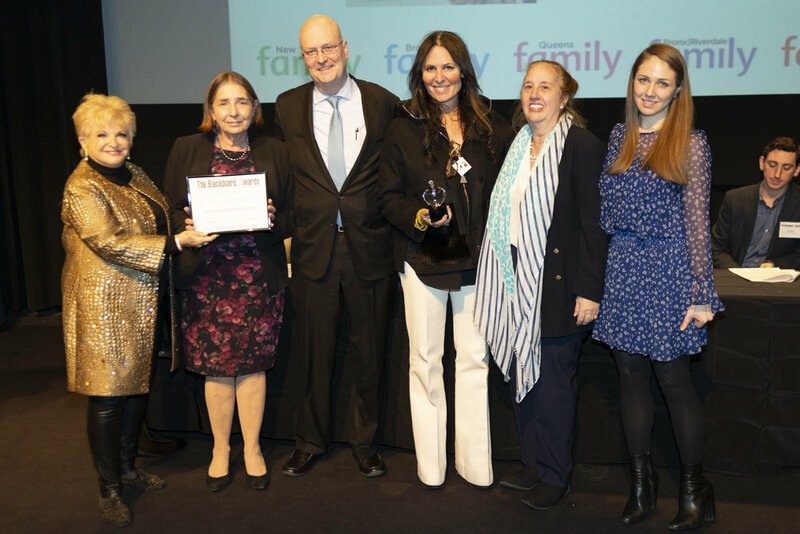 Head of School Dr. Barbara Tischler, division and department heads, parents and trustees, and co-founding trustee Kelly Posner Gerstenhaber were there to represent Speyer. The event was hosted by Mia Weber, the executive editor of New York Family, and Vicki Schneps, the president and publisher of Schneps Media. The Blackboard Awards have been honoring excellence in local education in all sectors (public, private, charter, and parochial), and all grade levels (nursery through high school) for more than 15 years. How does a school become an honoree, you may ask? Schools are identified with the help of thousands of city parents who send in nominations. The award committee then works with local education and admissions experts to select the final honorees. This is our fifth Blackboard award! In 2009, Speyer was a New and Noteworthy School honoree, and we’ve had three teachers receive Blackboard Awards of Excellence in Education: Rodrigo Alonzo (2011), Frank Hattis (2013), and Kimberly Schwab (2017)! This award is a wonderful tribute to what happens every day here at Speyer! You can read all about the event here at New York Family’s site, and their interview with Speyer here!